There is a City-sponsored Open House today from 4:30 to 7:30pm at St. James Hall to address the proposed future of The Hollywood Theatre. It does look as though the venue will be reopened, and the open house will present plans for the building - and its immediate neighbours. The Save The Hollywood Theatre Society has teamed up with the Coalition to Save The Rio Theatre, as the two neighbourhood theatres have much in common. We encourage you to come down to see what's shaking - on both sides of town! This event is free to attend. Annie Lou is the stage name of Anne Louise Genest, a songwriter, composer, and performer with a deeply-felt connection to older folk music traditions. With guitar and banjo in hand, she has spent years chronicling the rural and urban life paths of Canada, writing songs to tell the tales of the hard-hit, hard-won victories of these everymen and women. This is new music that is relevant to a modern audience but rooted in the musical traditions that grew out of communities where there was little separation between performer and audience - where everyone played something, or danced - and where music was clearly connected to the everyday lives of the people who played it. Annie Lou’s beautifully creative songs and tunes range from rousing and boisterous to gentle and poignant, and map a homescape of hard-drinking grandmas, rural dancehalls, blue collar fashions, small towns, big cities. All of this is delivered with Genest’s vocal warmth, evocative of the sweet tones of Kate and Anna McGarrigle blended with the raw emotion of Hazel Dickens. The Annie Lou touring ensemble includes Canadian acoustic champs Andrew Collins, Max Heineman (both from Toronto's Foggy Hogtown Boys), and Sarah Hamilton – a tight instrumental and vocal unit that offers superb musicianship and an infectious delight in their craft. 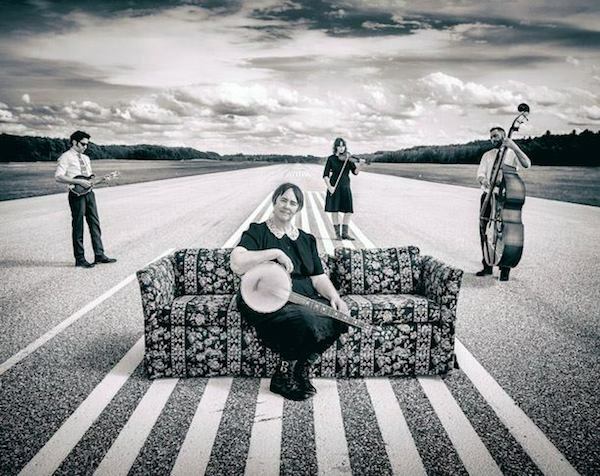 In live performance the band gallops along with joyful danceable precision, enticing audiences with twin fiddles, banjo, three and four part harmonies, call and response, and compelling instrumental solos. They are touring the west in support of Annie Lou's new CD, End Zone. This Cuban-Canadian harmonica master fashions sound the way Michelangelo sculpted his David: with daring and sensuality! 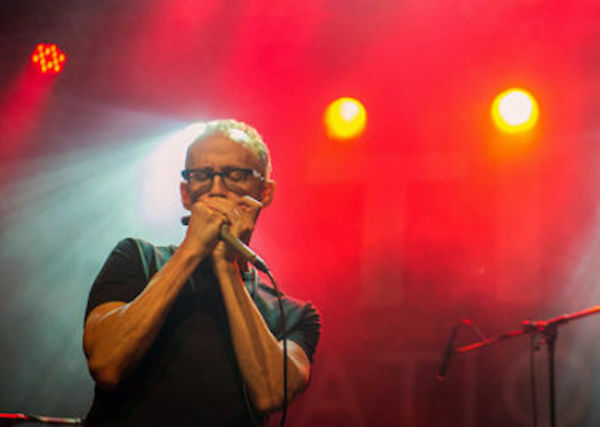 Considered one of the world's greatest harmonica players, he is a pioneer of the "overblow" technique, allowing him to play a diatonic harmonica chromatically. The result is stunning: a sophisticated blues/jazz fusion from sublime to raw to quirky. Simultaneously sophisticated and raw, his playing blurs the boundaries between blues and jazz. The emphasis is on blues, but Carlos and his band are not afraid to merrily traipse off in other directions delivering a seamless fusion of New Orleans second line grooves, swing, Latin, hip-hop or ska melodies, to swampy roots rock. Carlos returns to The Rogue for the first time in seven years with his trio (Eric St. Laurent - guitar, and Henry Heillig -bass) on a big western tour supporting his new CD Hang On! 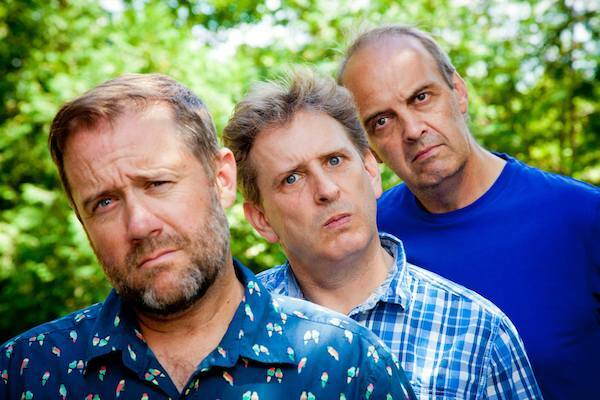 There are still tickets available for the first Arrogant Worms concert at The Rogue next Thursday night. The Friday show was sold out weeks ago! What makes this Canadian musical comedy trio so darned popular? Well, we reckon it's just about the most fun you can have flaunting your Canadian-ness with a bunch of like-minded silly people. Not since Monty Python's Lumberjack Song came out in 1969 has being Canadian and downright silly been so fashionable! This may or may not be their farewell tour. Who knows? They just keep on writing daft songs with catchy tunes and playing irresistibly fun gigs. But they may not come back again, so let's make them feel indispensable, eh? Vancouver is music-central next weekend with the Junos in town and a huge festival of alternative music going on downtown. I must admit I've never heard of most of the bands playing that event, but The Rogue soldiers on presenting the best Canadian music we can find. 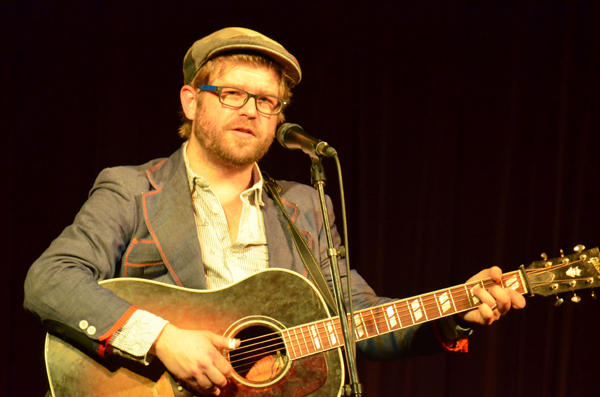 Old Man Luedecke is one of the nation's most accomplished songwriters, and his songs reflect the delights and trials and tribulations of rural life for young married couples raising their kids in the woods of Nova Scotia. Come and hear the latest recipient of The Rogue's D'you Know Award! 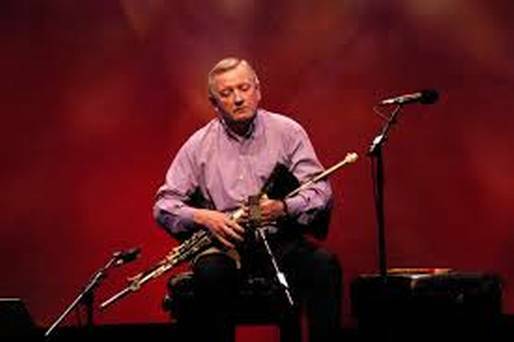 On this week's Saturday Edge On Folk (CiTR fm 101.9 and www.citr.ca Saturday 8am to noon) I'll pay tribute to legendary Irish piper Liam O'Flynn, who passed away the other day. Such a sad loss. A true gentleman and a hugely gifted musician, he played his only Rogue gig back in 1996 with Arty McGlynn and the late pianist Rod McVey. Stephen Hawking will also be featured. Much of the show will be a St. Patrick's Day celebration, with some of my favourite Irish bands and singers, but I'll also spice it up with some Welsh music, a few French bands coming to Festival du Bois next weekend, and some amazing new world music conjured up from the pages of the now-quarterly fRoots magazine. I hope you can join me!